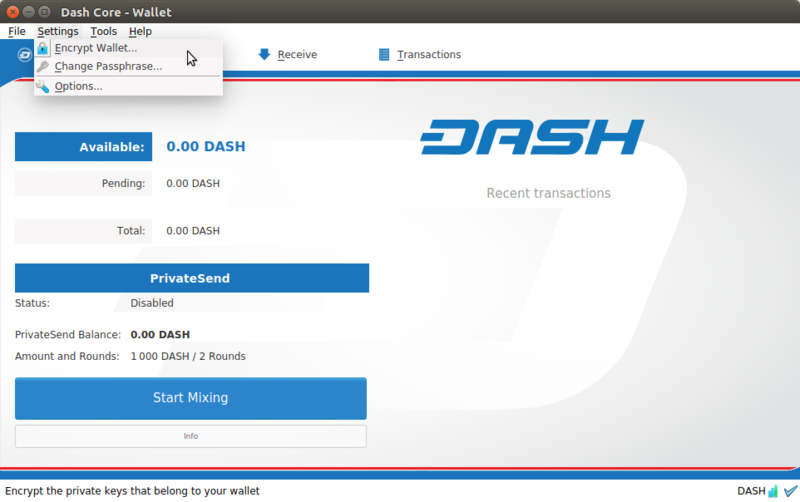 This guide describes how to download, verify, install and encrypt the Dash Core wallet for Linux. The guide is written for Ubuntu 16.04 LTS, but the steps should be similar for other Linux distributions. 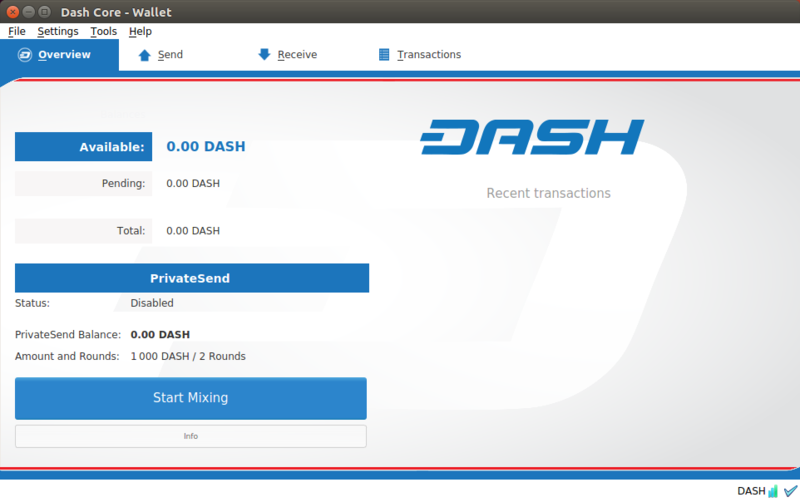 Visit https://www.dash.org/downloads to download the latest Dash Core wallet. In most cases, the website will properly detect which version you need. Click Dash Core button to download the package directly. 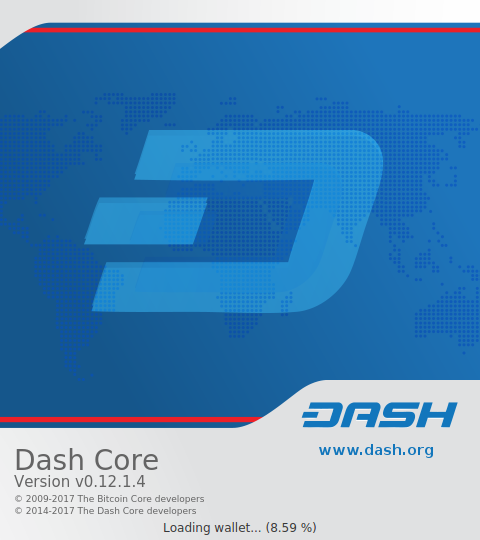 Once you know which version you need, download Dash Core to your computer from https://www.dash.org/downloads and save the file you downloaded to your Downloads folder. If the hashes match, then you have an authentic copy of Dash Core for Linux. Dash Core for Linux is distributed as a compressed archive and not an installer. This is because this same archive also contains other files built for running a masternode on a server, for example. In this guide, we will extract the executable file with a graphical user interface (GUI) designed for use by end users as a wallet. Begin by creating a folder for the Dash Core executable file on the Desktop. Browse to the Desktop (or the location of your choice) and create the folder. Next, open the archive by double-clicking on it. The Archive Manager will appear. Browse to the dashcore-0.12.1/bin/ folder and extract the dash-qt file to the Dash folder you created on the Desktop by drag and drop. To run Dash Core for the first time, open Terminal and browse to the Dash folder on the Desktop, or where you chose to extract the file. Type ./dash-qt to run the file.